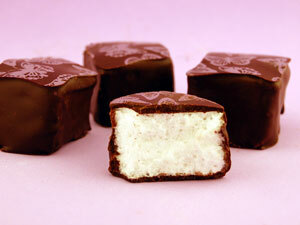 Dark Chocolate Lavender Marshmallows 15 pc Gift Box Discounts Apply ! 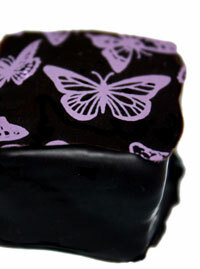 Soft, spring-scented lavender marshmallow covered in delicate dark chocolate and a beautiful butterfly pattern. Lovingly presented in Pete's elegant signature gift box. I have never tasted anything like this before. I was so surprised how much I would love these marshmallows! It is that taste you begin to crave and can't find anywhere else. I could and would eat a box of these.